My best friend texted me this morning, asking what bridge I was going to hunt today. I wasn't planning on hunting any bridges today, because the day was gray, I have so many bridges in my backlog, blahblahblahblahblah. 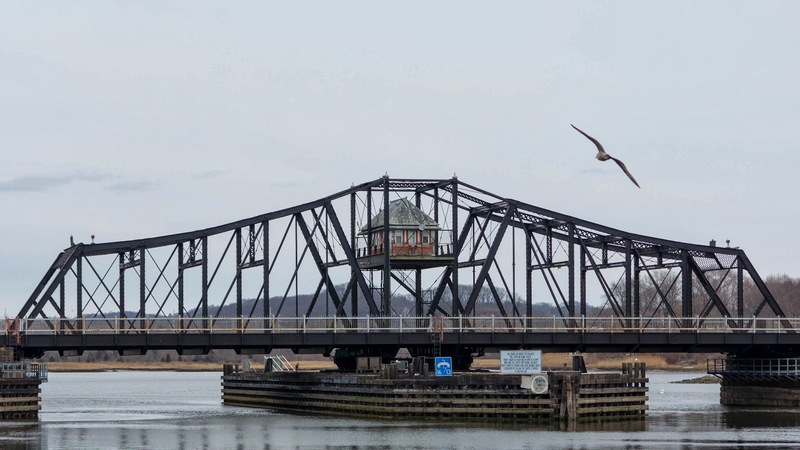 Well, there's this swing bridge down in New Haven I hadn't ever gotten, and it's just 45 minutes away, so I figured I'd just pop down and grab it. Better than wasting the day away doing laundry. Note to self: still need to do laundry. 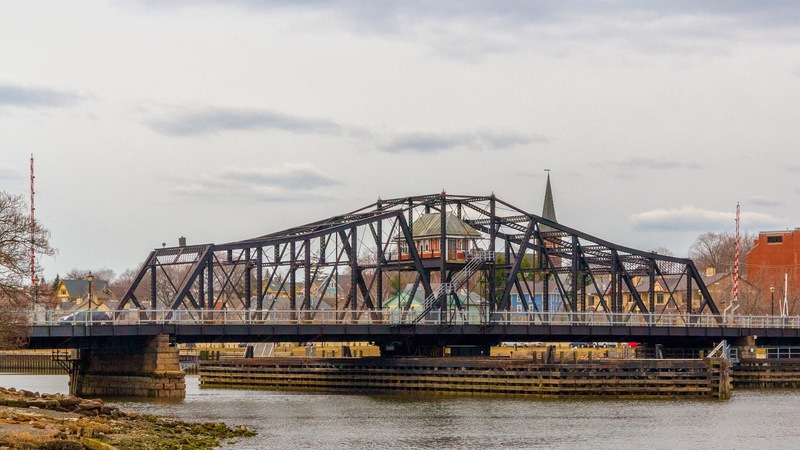 The Grand Avenue Bridge connects the Fair Haven and Fair Haven Heights neighborhoods across the Quinnipiac River. It swings upon signal during the day except for the morning and evening rush, and at night by calling at least an hour ahead and getting someone to come out to the bridge house there in the center and open the bridge manually. No boats were in the vicinity of the bridge while I was there. It would have been fun to figure out how to transmit the signal and make the bridge open.... I wonder if people do that. I've read rumors that this bridge is due to close permanently. I'm thinking that's a little bit of hyperbole. There are some articles in the local paper on closing the bridge temporarily for repairs, but a bridge with this many moving parts is going to need maintenance. This bridge isn't going anywhere. Except 90 degrees clockwise, sometimes. On the east bank of the river there are fewer open spaces due to demolition. The major losses have been confined to the commercial buildings on the south side of East Grand Avenue near the bridge. 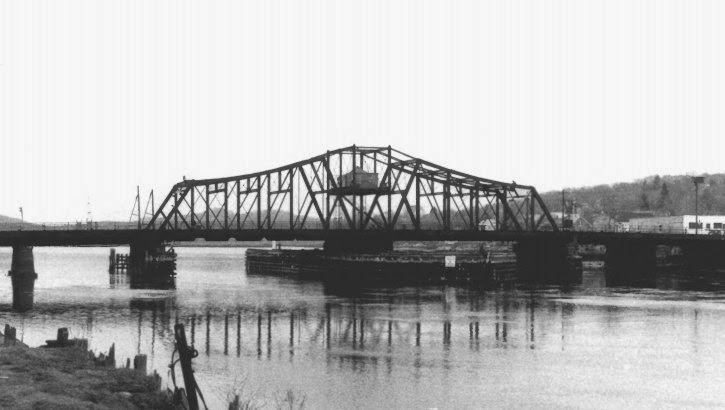 The bridge itself was dismantled, but is now in the process of being rebuilt on the original location and according to the same design as the turn-of-the-century bridge. As you can see from the picture above, the new bridge is an exact recreation of the old one. 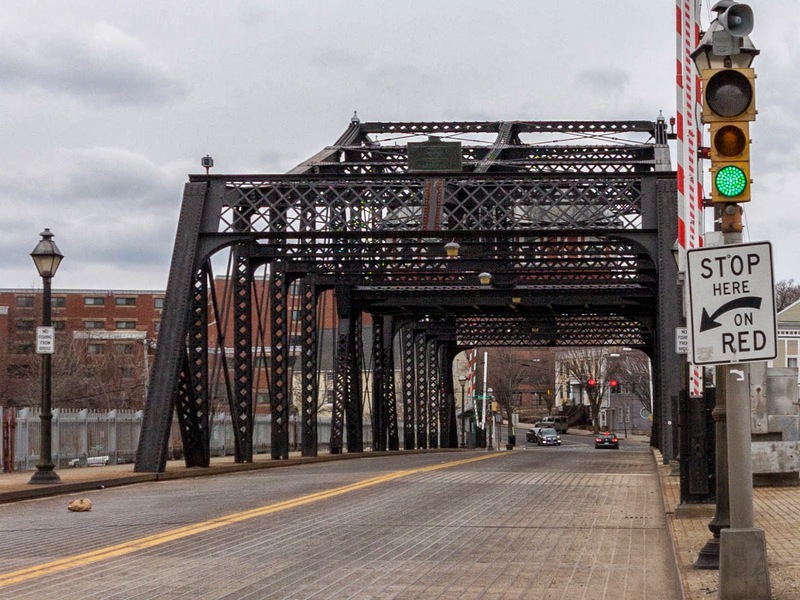 The city of New Haven wanted to make it wider and more modern, but popular outcry forced them to keep it the way it was. Whether people were complaining because they liked the old bridge, or because a newer bridge would have meant the destruction of more property, I don't know. But I'll take any Berlin Iron Bridge I can get. These bridges don't only signify New England to the world, they mark Connecticut in particular. 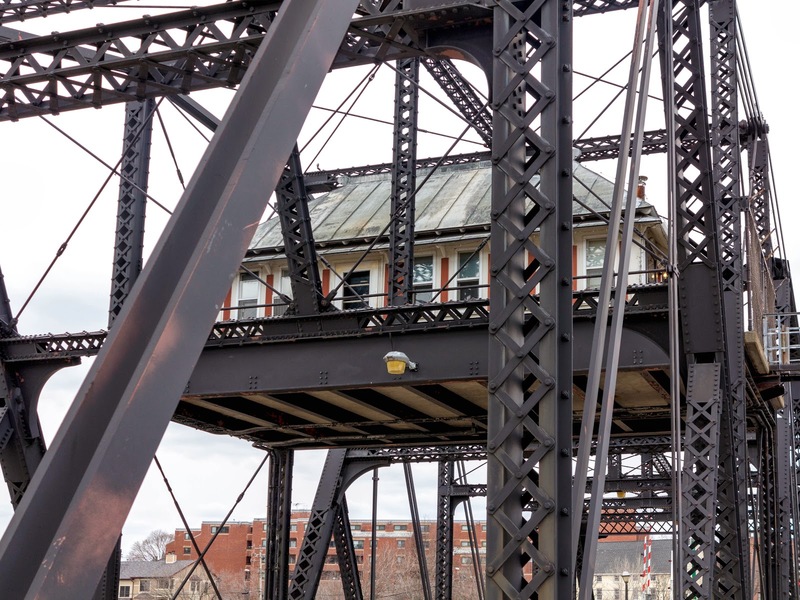 Like the Town lattice bridges before it, Berlin Iron Bridges are living examples of Connecticut's historic leadership in civil engineering. My grandfather owned Grand Service Station until the late 1970s when New Haven Reconstruction began. His business, along with other long standing businesses, were closed and the buildings were demolished due to the proposed bridge expansion. Although I am glad the old turnstile bridge remains, I am sad that historical buildings were destroyed for nothing.